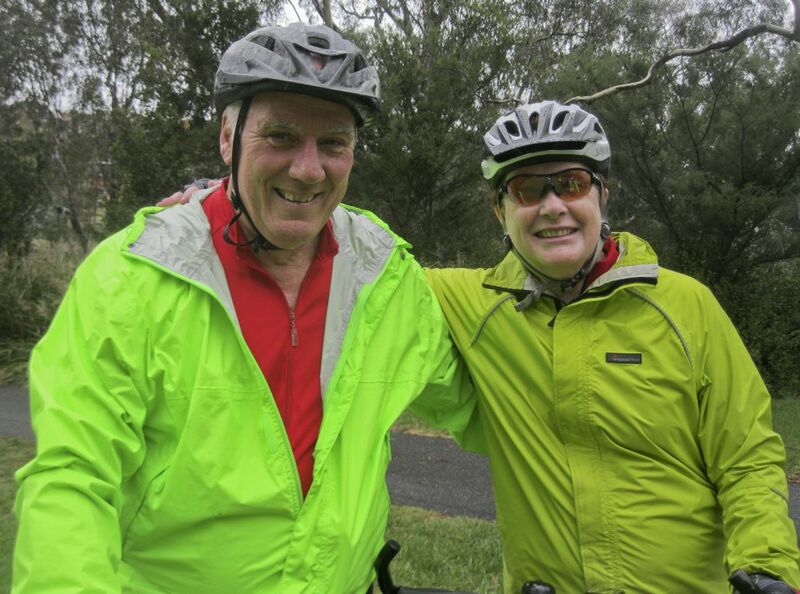 Despite the rain, there were nineteen riders for the regular Barwon River Circuit, led by Geoff Andrews. This morning’s ride was significant for three special events. 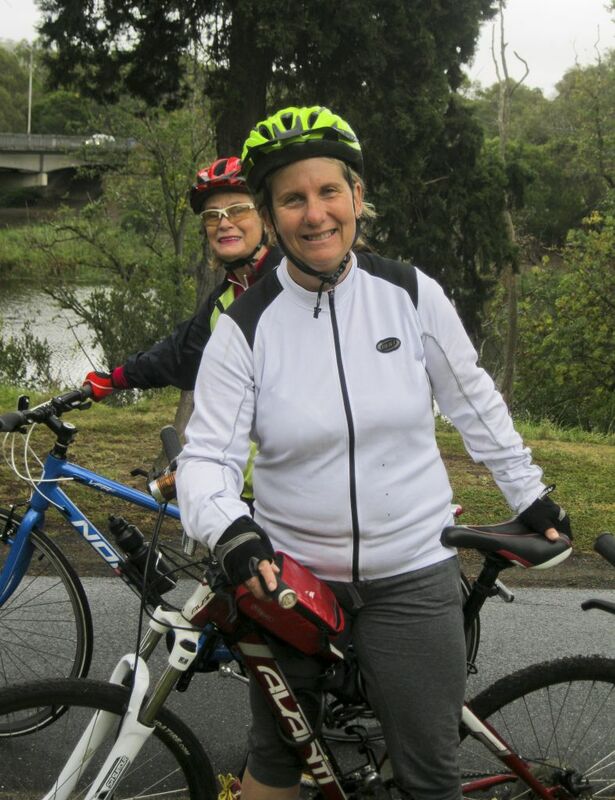 First, it was Karen’s first ride back with the club after a cycling accident on her commute to work several months ago. Secondly, Maree and new fiance Bill were both riding. Congratulations. The wedding is to be later this year. We’re not sure whether there’s a tandem involved in the honeymoon. Finally, Geoff was celebrating a significant birthday (actually next Friday). He informed us all that he is about to begin his ‘eighth decade’. We were all invited to party – including anyone who wasn’t able to ride. 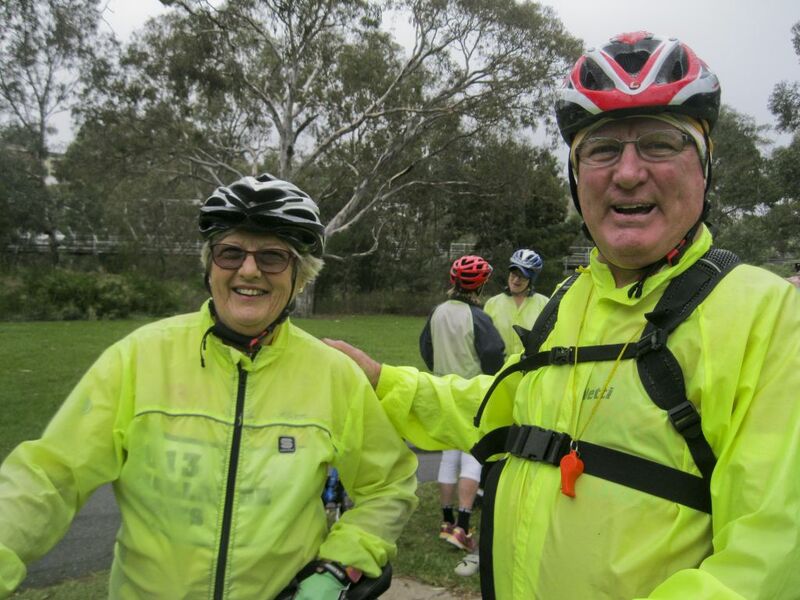 By the time the mudspattered and saturated cyclists arrived at The Barwon Edge, there were already quite a few club members there ready to celebrate. Stephanie had ordered cake and other goodies, and the whole cafe resounded to strains of ‘Happy Birthday’. Congratulations, Geoff. Thanks for sharing your birthday celebration with members of Cycling Geelong.